To effectively combat global warming, an enormous reduction in CO2 emissions is required. Cameroon, which is currently the largest emitter of CO2 in the CEMAC subregion, has committed to reducing its greenhouse gas emissions by 32% by 2035. However, previous studies in Cameroon have only addressed the relationship between economic growth, energy consumption, and CO2 emissions without estimating all causal relationships at the same time. Moreover, no study has yet decomposed this country’s CO2 emissions to date. 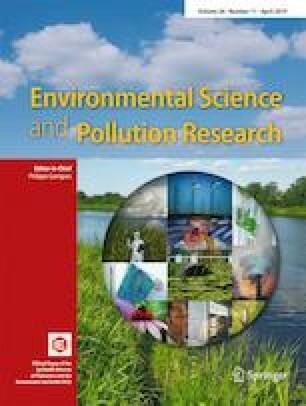 To fill these research gaps and further assess the determinants of these CO2 emissions, an extended Kaya identity and the Logarithm Mean Divisia Index (LMDI I) have been applied in this paper to identify, quantify, and explain the main drivers of Cameroon’s CO2 emissions from 2007 to 2014. Seven effects were measured and the main findings show that carbon intensity and the emission factor increased by 0.57% and 107.50% respectively. Regarding contributions to the increase of CO2 emissions, the population effect was the most positive followed by the activity effect, whereas the energy intensity, the substitution of fossil fuels and the penetration of renewable energies have contributed to reduce the CO2 emission. To enable Cameroon to not only achieve the goals of its vision but also develop a low-carbon economy, this paper provides some proposed avenues that should be considered by policymakers. The author would like to dedicate this work to his family and more particularly to Mr Engo Ndongo Jean, Mrs Medjo Mba Agnes, Mr Atem Engo Léon, and Mr Eyenga Engo Lucien for their indescribable support. We would like to thank, the supervisor of this study, Professor. Dr. Yi-Ming Wei, to BIT – CEEP in China, and all those who are in charge of the scientific evaluation of this work, and more particularly the editors and reviewers.